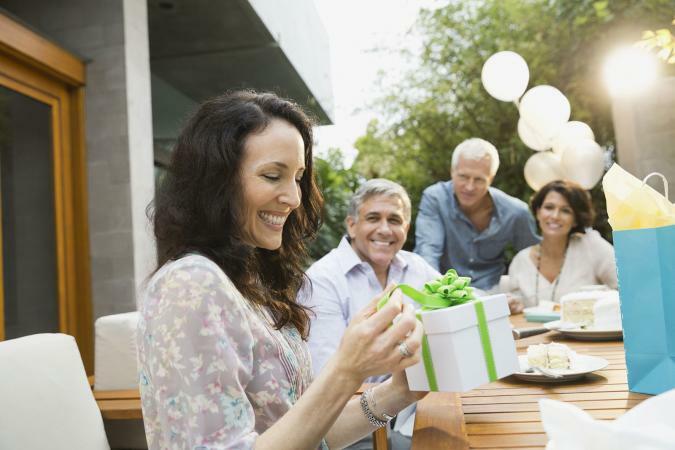 The best gifts for a man to give a female friend are far from the flowers, chocolates, or jewelry a man might give a woman he's interested in dating. When giving a gift to someone, it's important to make sure that it doesn't convey the idea that you're interested in pursuing something more (unless you really want it to and you think she's interested as well). In general, it's best to keep things on the inexpensive side. This top selling food assortment care package because it is a sweet and salty snack sampler to accommodate all taste buds. The Hangry Kit costs around $25 and plays on the words 'hungry' and 'angry'. It comes with 40 of the most popular name brand salty and sweet snacks. Get everything from Rice Krispies to Knott's Cookies! In a verified review on Amazon a buyer says, "...ordered the kit to surprise a friend... She LOVED it! I love that I didn't have to try and purchase a variety of goodies myself...perfect!" This is the perfect starter tool for a woman living on her own or committed to minor home repairs. The Lithium-Ion Cordless Pink IXO Screwdriver Kit with LED Light costs under $40 and holds a charge for up to 18 months. It has a 5-piece screwdriver bit set that is magnetic. There is a convenient LED indicator to show drilling direction. Likewise, 10 percent of proceeds go to the Susan G. Komen foundation. A Home Depot purchaser says, "This screwdriver is so handy. I love it so much that I hide it from the rest of the family. It is light and of course pink and pretty!" The Absolut Elyx Gift Set with the Original Copper Gnome costs around $130.00 It is perfect for a friend that is always playing hostess or loves bartending! Wine Enthusiast gave this vodka one of its highest ratings and one reviewer said, "It's definitely the Brad Pitt or George Clooney of Vodkas." Another awesome selling point is for every sale of this set, a month's supply of safe water is given to someone through the organization Water For People. Available in red and blue, the Nostalgia Retro Series 3-in-1 Family Size Breakfast station is an exciting gift for any friend and costs around $70. Its features include a non-stick griddle, a smaller coffee maker that brews four cups of coffee, a multi-function toaster, and a 30-minute timer with an automatic shut-off. An Amazon review says, "This little appliance is absolutely beautiful. 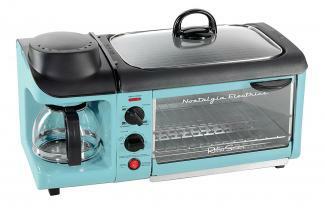 The griddle comes out for easy cleaning...the oven is large enough to bake a cake...I LOVE THIS." It also makes a great gift for a friend that loves traveling! You don't have to spend a lot to impress your friend and show her you care. 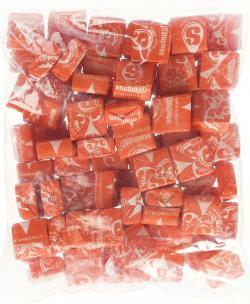 For $8.00 and up, you can get a one pound bag of Starburst in the color of your choice. (Each color has a different price so a yellow bag tends to cost less than a pink bag.) Each page comes with about 90 Starbursts, and she won't have to pick through to get her favorite color! One Amazon customer says it is a "wonderful option to buy only one flavor." A personalized journal from PleaseAndThanksCards costs about $10 on Etsy. It is the perfect size for your friend to throw in her purse, use at work, school, or even at home. The Marble Petite Notebook is 5.5'' by 7.25'' comes with 94 pages, it is white wire bound, and has a matte laminated cover. One reviewer says, "I gave this to a friend, and she loved it! Would buy from this shop again!" The company also sells large sizes if this is your preference. Purchasing from them also supports a small business! Bananagrams is the perfect game for everyone! It is a word game that only takes a few minutes to play, and it costs around $13. In the game, every player draws random letters and builds a crossword-like board out of the letters he or she drew. With simple rules and fast rounds, Banagrams suits groups of family and friends. 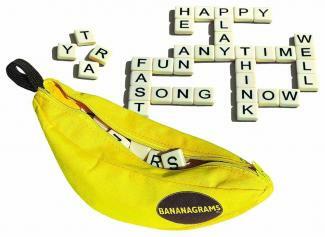 In an Amazon review, a customer said, "Bananagrams is a fun game for everyone...We can play anywhere." Is your friend an avid reader? Allow her to carry her books with ease with the Kindle Paperwhite E-reader. For just under $120 and with regular discounts offered online, this option has a battery which lasts for weeks, has a light for daytime and nighttime reading, and no screen glare. In a recent customer review, a customer said "It came ready to use right out of the box, the touch screen is super easy to use...The paper display is excellent." Who wouldn't love this gift? 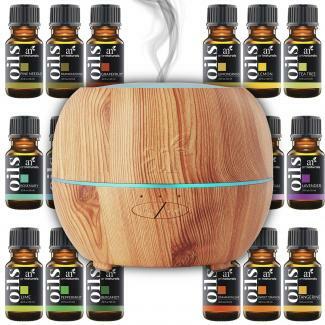 The Art Naturals Essential Oil Diffuser with a Top 16 Essential Oil Set provides a great smell and sets the tone in your friend's space, and it costs under $50. The diffuser looks like it is made completely of wood, so it matches any home. Unlike just getting a diffuser, getting the set of essential oils gets her started on her oils obsession. It comes with a convenient book to learn about the use for each oils and good scent combinations. An Amazon customer says, "I am using it every day since I got it! I love it!" For under $20, the Plant Theatre Funky Veg Kit Gift Box comes with the seeds and needed materials to grow five awesome vegetables to grow. The plants are cosmic purple carrots, golden zucchini squash, Tigerella stripy tomato, Rubine Brussels sprouts, and rainbow chard. It is a great gift for someone that likes gardening. One reviewer on Amazon said it has, "excellent quality, clear instructions, (and is a) really fun product to use..."
The Scratch and Sniff Pet Candle was originally designed to get rid of pet odors in a home, it is now a scent loved by all homeowners. The creators of the candle make their products in upcycled wine bottles, and the scent is a medley of clean herbs, citrus, and fresh smells. A portion of the $30 price are given to animal rescue organizations. In a recent review on UncommonGoods a customer said she is, "gifting this to everyone with a rescue!" Keeping gifts neutral is important. If you choose very sentimental gifts, it could give her the wrong idea. If you've been friends forever and you're absolutely sure you could give her almost anything without her thinking you were looking for a relationship with her, the rules change a bit. If you don't know where to start, the gift ideas just presented are awesome for female friends. Consider her hobbies and habits to determine which is best for her. If she's a coffee drinker, consider the gift basket. If she's always writing things down, consider the personalized journal. Be sure you think about the right gift for her tastes! Good luck - she is sure to love it!